Having to look at yellow toenails – yours or a friend’s – is the stuff of nightmares. If your discolored, yellow nails have nothing to do with lack of hygiene, you might be suffering from a nail fungus. Luckily, it doesn’t readily spread from person to person, but it can very easily spread to healthy nails surrounding the fungal infection. Wondering how to get rid of toenail fungus? Just read on. A progressed infection may cause pain, inflammation and give rise to secondary infections. The brittle and ragged nails also may separate from the nail bed and emit a foul odor. Clean your feet and hands regularly, and keep your nails trimmed short and dry. Wear sandals or other open-toed shoes when you can, and always wear absorbent cotton socks when you have to wear closed shoes. Never go barefoot in public places like swimming pools, showers, and locker rooms. This will help prevent you from picking up a nail fungus. 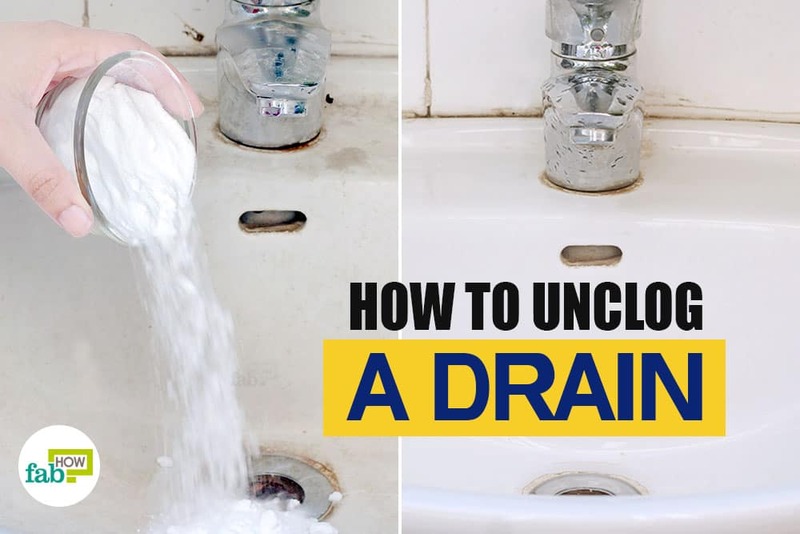 Wear gloves while cleaning or doing dishes by hand to avoid overexposure to water as this keeps the fingernails moist for prolonged periods of time, making them susceptible to a fungal infection. Never pick at the skin around your nails, as besides giving rise to hangnails it also makes the nails vulnerable to fungal infection. Make sure your salon sterilizes the instruments used in manicures and pedicures. You should also give your nails a break from artificial nails and nail polish from time to time. Home remedies and mild over-the-counter applications can effectively treat nail fungus. They key is to find what works for you, and be persistent until the infection goes away completely. File down the fungus-affected nails with a good nail file as much as you can before starting the remedies for maximum benefit. Keep filing the nail regularly during the course of the remedy. This will allow the treatment to work better and allow your healthy nail to grow out faster. Here are five simple remedies to get rid of a nail fungus. Wash nail with soap and warm water. Scrub affected nail with nail brush afterward. Place two drops on affected nail twice daily. Repeat this process two times a day, for six months. Camphor, menthol, eucalyptus oil, turpentine oil, cedar leaf oil, and nutmeg oil are the active ingredients in Vicks VapoRub that make it effective against toenail fungus. The petroleum jelly base softens the nails and promotes growth. Get the Vicks under the nail as much as you can, and liberally coat the skin around the infected toenails. Wrap a gauze bandage around the toes with the infected nails, securing the Vicks over the affected area. Avoid wrapping the bandage too tight. Do this before going to bed and leave it on overnight. Repeat every night for 2 to 3 months for complete recovery. Essential oils are effective fungicidal agents, capable of inhibiting fungal growth and promoting healthy nail growth. The anti-inflammatory properties of essential oils can be especially helpful if there is pain and inflammation in the affected nails. Put 1 teaspoon of coconut oil in a small bowl and add ½ teaspoon of orange essential oil to it. Add 1 teaspoon of tea tree essential oil to it and mix well. Dip a sterile cotton ball into the essential oil blend. Put the soaked cotton ball over the affected nail, saturating it entirely. Make sure that you get the oils under the nail bed. 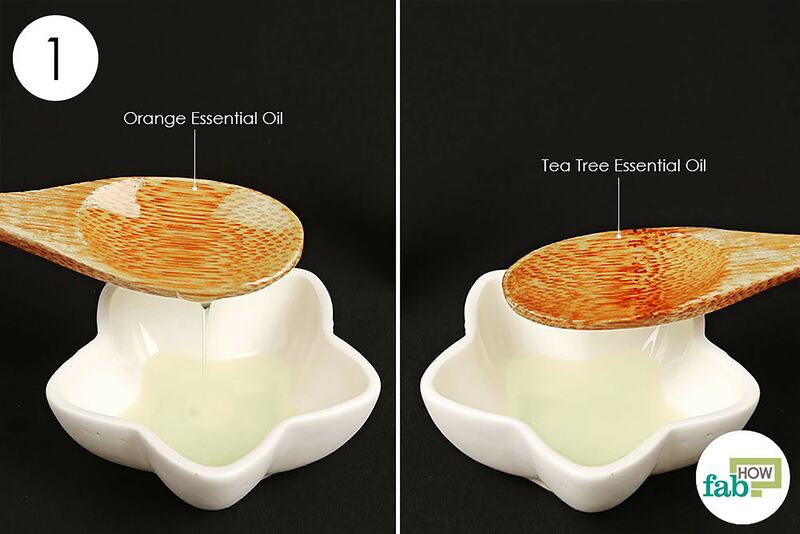 If the surrounding skin feels sensitive to the essential oils, apply a coat of petroleum jelly first to protect it. Multiple applications throughout the day will keep the infected nails saturated with the healing essential oils. 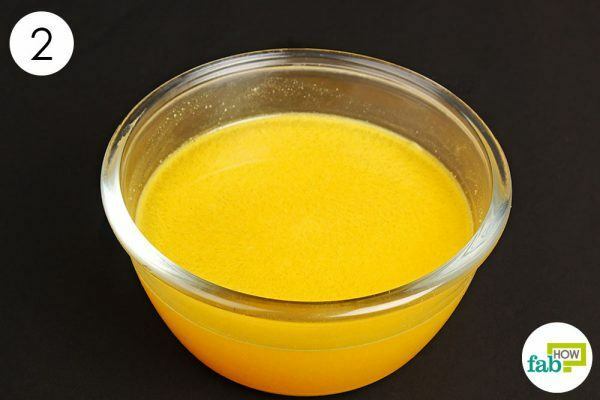 Continue using the remedy for 2 to 3 months for full recovery. 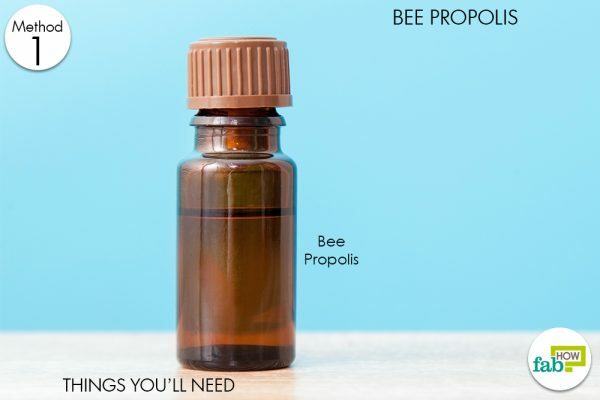 Additionally, when alternated with vinegar soaks, this method has great healing potential. 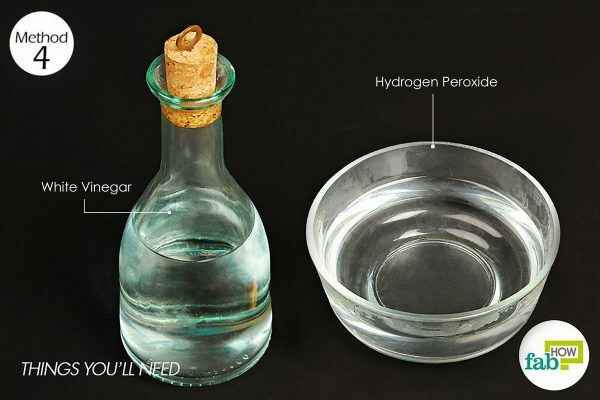 Pour hydrogen peroxide in a bowl or container, enough to cover the affected nail. Dilute it with an equal quantity of water. Soak nail for 5 minutes, while pressing down on the nail, and releasing it throughout this duration of time. This allows the hydrogen peroxide to make its way through all the nail crevices and attack the infection source. Repeat the same steps as Day 1, this time using a vinegar soak instead. Continue alternating soaks each day and do so until nail fungus clears. Note: Do not mix vinegar and hydrogen peroxide. Additionally, always use fresh vinegar and peroxide. Never reuse. 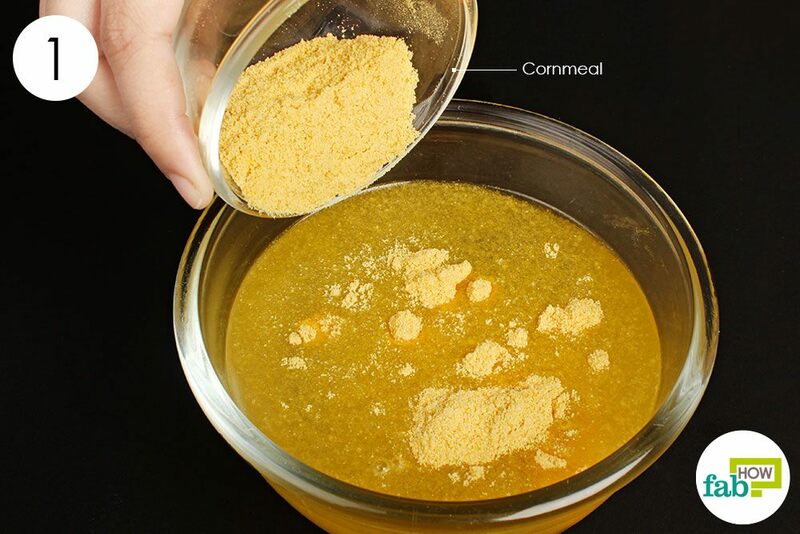 Cornmeal, while not having scientific evidence to support it, has anecdotally been found to be beneficial in treating a nail fungus for many. Regular use can help with the pain and discomfort associated with the fungus as well as promoting healthy nail growth. Put ¼ cup of cornmeal into 1 quart of water and let it sit undisturbed for 1 hour. Soak the nails with fungus in the cornmeal mush for about 30 minutes. Rinse with plain water and pat dry with a towel. Repeat every day before going to bed for 1 month for good results. You can substitute olive oil with grapeseed oil in the essential oil remedy. 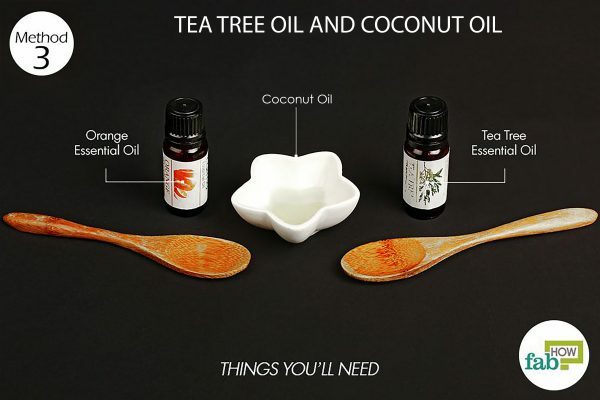 You can infuse coconut oil with camphor to treat a nail fungus. Combine one or more remedies for faster recovery. For example, follow soaks and footbaths with topical applications. Westerberg DP, Voyack MJ. Onychomycosis: Current trends in diagnosis and treatment. American Family Physician. https://www.ncbi.nlm.nih.gov/pubmed/24364524. Published December 1, 2013. Veiga, F. F, Silva da, et al. Propolis Extract for Onychomycosis Topical Treatment: From Bench to Clinic. Frontiers in Microbiology. https://www.ncbi.nlm.nih.gov/pmc/articles/PMC5996904/. Published April 5, 2018. Derby R, Rohal P, Jackson C, Beutler A, Olsen C. Novel treatment of onychomycosis using over-the-counter mentholated ointment: a clinical case series. Journal of the American Board of Family Medicine. https://www.ncbi.nlm.nih.gov/pubmed/21209346. Published 2011. Christenson JK, Peterson GM, Naunton M, et al. Challenges and Opportunities in the Management of Onychomycosis. Journal of Fungi. https://www.ncbi.nlm.nih.gov/pmc/articles/PMC6162761/. Published September 2018. Akhtar N, Sharma H, Pathak K. Onychomycosis: Potential of Nail Lacquers in Transungual Delivery of Antifungals. Scientifica. https://www.ncbi.nlm.nih.gov/pmc/articles/PMC4829734/. Published 2016. So I never come and comment on these things, but listerine soaks really worked for me!! I am in the Peace Corps, and started to notice toenail fungus growing at the tips of my big toenails. My doctors told me that I wouldn’t be able to treat it until I returned to the US, because the pill used to treat it can damage the liver, and my liver needed to be monitored. Peace Corps doctors aren’t allowed to recommend non western medicine, but told me there were a couple of things I could try. I did listerine soaks not even super consistently, 20 minutes a day, then cut my nails as short as I could to get down past the fungus, and am fungus free about a month a later!! Both my doctors and a pedicurist said it was gone, but I’m going to do the soaks every now and then to prevent it from coming back. Highly recommend!! My big toenails are the typical hard, thick with slightly yellowed interior. They are hard to cut and have been that way for over 5 years. 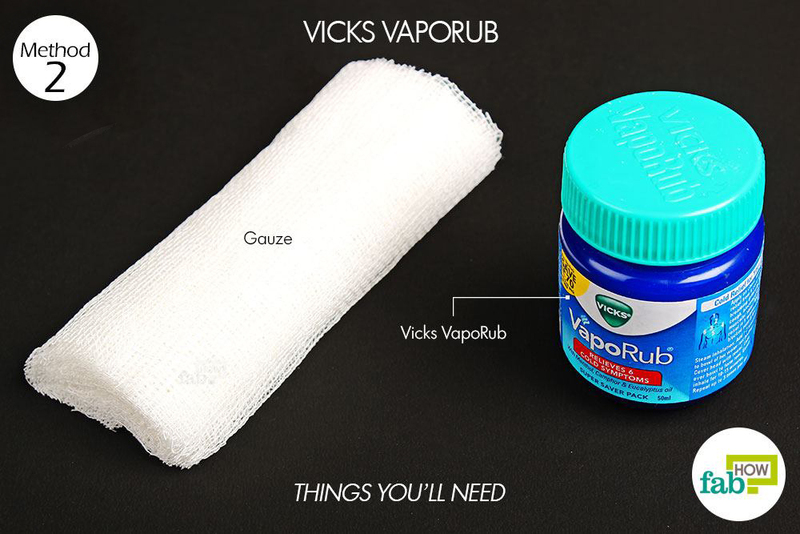 Tried Vicks Vapour Rub for 6 months, not every day, but often enough but that never really looked like clearing the problem. Have just started trying Iodine for a week. I’ve trimmed the toenails to expose as much of the toenail and underlying structure as much as possible so the Iodine can absorb underneath the toenail. After a couple of days I was able to get deeper under the nail, cutting back more nail as it had become softer. So far (1 week) it seems to have cleared more of the problem than any other method I’ve tried.